I am a self-confessed cinnamon addict so when I saw the lovely, alluring picture in Ikea of the cinnamon bun I just had to buy it. 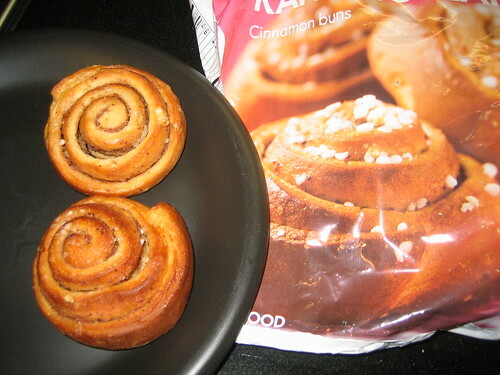 The disappointment was overwhelming when I saw that these ‘buns’ looked like. They didn’t taste very good either. 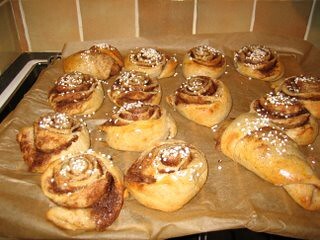 I can’t blame Ikea too much cos I literally make the very best cinnamon buns in the world – when I have access to the right ingredients. The trouble with living in the US, it is difficult to find fresh yeast. I’ve been to the upmarket food store Whole Food and asked their bakery if I could buy some fresh yeast but no, they don’t use it.